When it comes to globalization, many challenges are well understood: the challenges of supply selection, etc. However, there is one important area that has not received much attention – international label printing. Printing the characters of these different languages, especially for non-Roman alphabets such as the Asian languages and Arabic. There is no magic bullet for the translation. In general, says Mark Fralick, SCDigest’s Technology Editor, you need to set up database tables that have the right translation for each language or location you need to support. For example, “Part Description” may need to be translated into multiple languages to support different international customers. Even within the English language, there may be differences in terminology. For example, an automobile “trunk” in the US is called a “boot” in the UK. While there are hard coded ways of handling this issue, Fralick says the use of Database-oriented retrieve methods is the best practice. “I would use the ISO code for each destination country; then select the local language terminology or translation for each field on the label based on that,” Fralick said. This means a company needs to maintain a database of term usage and translations for each country they need to support with customized label printing. So that general approach addresses the translation side of the problem, but does not fully address the challenges of printing non-English characters. 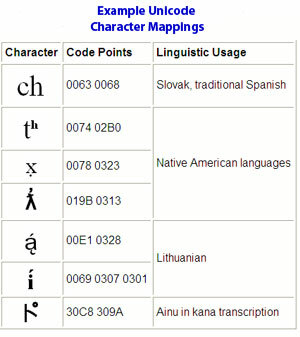 “Keep in mind also that not every language can be represented in the character set most commonly used by the US and Western Europe, so understand if you will have the additional requirement of these sorts of character encodings, and make sure your database can handle it,” Fralick added. One approach, says Fralick, is to think of these local fields as being image strings, as opposed to characters strings – meaning Mandarin characters could be stored in the database as gifs, and sent to the printer that way. But that may take even more database maintenance, and would result in relatively slow “first out” label printing, as the printer would need to process what could be a significant number of images, rather than directly printing the characters from internal fonts, as it does when printing English. A technology approach to global character printing called Unicode solves many of the issues around international characters sets, says Hugh Gagnier, Sr. Vice President of Business Development and Operations for Zebra Technologies, a manufacturer of thermal printers. “Unicode offers a scalable, flexible approach to globalization that is saving our customers and our distributors a lot of time and money,” Gagnier recently told Supply Chain Digest. Unicode is a global standard for representing virtually any character in any language – perhaps as many as 100,000 in all. Unicode provides a unique number for every character, no matter what the platform, no matter what the program, no matter what the language. It can be thought of as a global version of the “ASCII” character set used in western languages to represent characters on computers. So, with a Unicode-compatible printer, Unicode characters are sent to the machine, and it translates the Unicode representations into the appropriate global characters. So, a company would still use the database approach described above, but would store those translations as Unicode numbers, not images or other ways of dealing with the international characters. This has a number of advantages. It speeds printing, because the characters are accessed as native fonts in the printer. It makes it easy to print multiple character sets on one label, which was often difficult with traditional approaches. It eliminates the need to download or license specific local fonts, as many companies have done in an attempt to solve the problem. It eliminates the need to do that repeatedly as support is required for new countries/languages. If the printer supports Unicode, it means a company – or reseller – can maintain a single pool of inventory that will work anywhere in the world and support shipping to any country. “This has been a huge benefit for contract manufacturers like Solectron or Jabil, since they can deploy the same printer anywhere or take on new labeling and shipping requirements very rapidly,” Gagnier said. The same holds true for printer resellers, which can now maintain a single stock of printers that can be quickly localized, rather than in some cases having different printers that have customized fonts installed. With Unicode, a user or reseller easily activates a specific language set that needs supporting. But it is starting to gain traction quickly, fueled by the rapid growth of the global supply chain. Zebra added full Unicode support to its thermal printers in the last few years, even to some of its small desktop printers, and is starting to see rapid adoption by users and resellers, Gagnier said. In addition, many label design packages are now offering Unicode support as well. “It’s just a lot better to solve this issue inside the printer than outside the printer,” Gagnier added.